KANDAHAR AIRFIELD, Afghanistan - A Canadian soldier wounded eight days ago while conducting a foot patrol in dangerous Panjwaii district died Monday in a German hospital. Cpl. 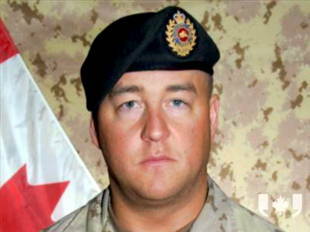 Brian Pinksen, a Newfoundland native, was walking a short distance between two Canadian combat outposts on Aug. 22 in the village of Nakhonay, 18 kilometres southwest of Kandahar City, when an improvised explosive device planted by insurgents was detonated, wounding him and one of his fellow servicemen. Both soldiers were treated at the scene before being airlifted to Kandahar Airfield's Role 3 Multi-National Medical Facility. They were flown to the Landstuhl Regional Medical Centre hospital in Germany three days later. The second soldier is recovering. Pinksen was from the 2nd Battalion, The Royal Newfoundland Regiment, based in Corner Brook, N.L., and served with the 1st Battalion, The Royal Canadian Regiment Battle Group. A Canadian Forces official said there will be a ramp ceremony in Germany to honour Pinksen prior to his repatriation to Canada. 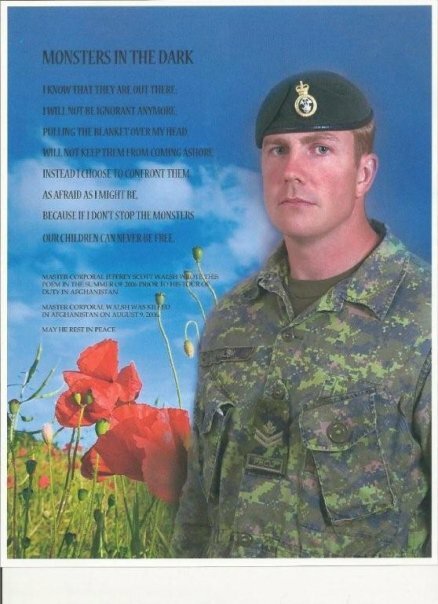 He is the 152nd Canadian soldier to die in Afghanistan since 2002, and at least the sixth to die from injuries sustained in or around Nakhonay since 2009. In an interview in February 2009, before he headed out to train at Fort Pickett, a U.S. army National Guard base in Virginia, Pinksen told the Corner Brook Western Star he was looking forward to getting to Afghanistan in 2010. "I love it," Pinksen said of military life. "I'm so glad I joined. I did (basic military qualification) while I was in school. I'm glad I did it. I have no regrets." Last month, 60 American troopers were killed. The numbers this month continue to climb, and yesterday, six more American service people were killed near Kandahar in southern Afghanistan. Luiz Martinez for ABC News further reports the staggering number of wounded the Americans have suffered in Afghanstan during the past two years. In 2009, the total reached 2,139, a three-fold increase over the previous year. In the first six months of 2010, four times as many American service members were wounded as were wounded in the same time frame a year ago: that is 1,922 American service members have been wounded in 2010 compared to 485 wounded through the same time period last year. Canadians sympathize with our American friends at the same time as we offer support for all our coalition troops fighting in Afghanistan in a war that doubles the total number of years the Allies fought World War II. That war was won from the air. Then, the Allies levelled the major cities of Germany with no consideration for civilians on the ground. With today's sensitivities about civilian colateral damage, carpet bombing is shunned, and boots on the ground are handed the task of beating the Taliban. Realistically, can we expect our forces to do the job they're expected to do? Coalition chief commanders in theatre have warned the folks back home to expect a much deadlier summer of fighting in southern Afghanistan as the Taliban's forces mount in number at the same time as they lay increasing and more sophisticated roadside bombs. No road and no path is safe for anyone to walk or ride, whether NATO troops or local villagers. Once, the goal was to destroy all Al Qaeda bases, so they would have no place left to launch their jihads against the West. When that didn't succeed, NATO's goal switched to rid the Afghans of the Taliban bullies who robbed them of their independence and their ability to develop an economy that can bring the Afghan people into a modern way of life, such as Viet Nam now enjoys. By making the Afghan people our friends, we can leave it to them to refuse support of Al Qaeda and to keep these terrorists and their training camps out of Afghanistan. That's the gist for winning the hearts and minds of the Afghans. After ten years in Afghanistan, can we say this is a realistic goal for NATO troops to pursue? Right now, it doesn't look like it. The military announced six more NATO deaths Wednesday — three of them Americans. The three other service members were not identified by nationality, but NATO said all died in the south — two in a bomb attack and one in a firefight. That makes 73 international forces killed so far this month. Forty-four of them were Americans. In the midst of this increasing bloodbath of NATO troops, including those of our own Canadian troops, is the "flap" over Afghanistan war commander Brig. 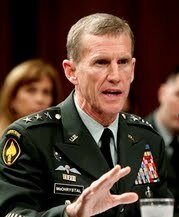 Gen. Stanley McChrystal's disparaging remarks in the Rolling Stone magazine. Discredit of the U.S. commander-in-chief shortly after Canada's withdrawal of its own battle commander, Brig. Gen. Daniel Ménard, comes as NATO and Afghan forces are ramping up security in and around the key southern city of Kandahar, the birthplace of the Taliban. Two men with stunning careers are suddenly disgraced. Does this make sense? If top leaders become demoralized enough to throw their hard-earned careers away by letting loose and behaving irresponsibly, what does that tell us? For they know far more than we do about what is really going on in Afghanistan. Don't you find it a little scary that the first person who defends McCrystal is Waheed Omar, the spokesperson for Afghan President Hamid Karzai? "The president believes that we are in a very sensitive juncture in the partnership, in the war on terror and in the process of bringing peace and stability to Afghanistan, and any gap in this process will not be helpful," Omar told reporters. "We hope there is not a change of leadership of the international forces here in Afghanistan and that we continue to partner with Gen. 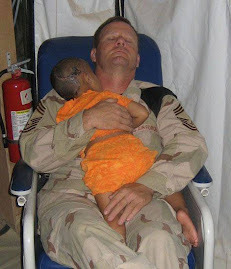 McChrystal." And Karzai's younger brother, Ahmad Wali Karzai, whom Canadian private security officials accuse of corruption and collusion with the Taliban, gave McChrystal a ringing endorsement, telling reporters in Kandahar that McChrystal's leadership would be sorely missed. "The people trust him and we trust him. If we lose this important person, I don't think that this operation will work in a positive way." Meanwhile -- get this -- Taliban spokesman Zabeehullah Mujahid said McChrystal should resign because his strategy had "clearly failed." "The problems between American leaders over Afghan issues very clearly show that the policy and the strategy of America has failed," he said. "They cannot win this war because the Afghan nation is united and they are committed to defeating American forces in Afghanistan." Feels like smoke and mirrors, folks. If the Taliban want McCrystal to go, then it implies the White House should consider leaving him in place because the Taliban fear his leadership and influence. On the other hand, the Afghan leaders want him to stay, but his credibility as a leader of influence with the U.S. government is weakened. How does that benefit Karzai and gang? Both the Canadian and American generals have cared deeply about their troops. Their integrity has made them stand out. It's why their troops have rallied so strongly under their command. Could it be that both men can no longer shoulder the corrupt messes their policital commander-in-chiefs have created for them? That the sacrifices exacted are not worth their integrity to support? That the situation here is too similar to Viet Nam where the drug trade escalated and many troops sent home were already drug addicts? That they know they have been thrust into a war the West cannot win? President Obama and Brig. Gen. McCrystal have already spoken today, and the result of that conversation will be released shortly. My bet is on McCrystal resigning, opting for the relief that comes from conflict between his love for his troops and his disillusionment with his country. Sgt. James Patrick MacNeil, 28, of Glace Bay, N.S., was killed by an improvised explosive device Monday morning near the village of Nakhonay after he had dismounted from his armoured vehicle. Nakhonay is in the Panjwaii district, which is known as the birthplace of the Taliban. It has been a bloody battleground for Canadian troops since they arrived in Kandahar province in strength four years ago. A proud "Cape Bretoner," MacNeil was with 2 Combat Engineer Regiment based at CFB Petawawa and was known for his good sense of humour. According to his men, he was a great person to work for. McNeil was blessed with a "permanent smile and eyes that could not conceal the mischief that he was no doubt contemplating." In Kandahar, Brig.-Gen. Jonathan Vance, commander of Task Force Kandahar, said: "For each IED that Canadian soldiers find and disarm, Afghan lives are spared and the processes of rebuilding their communities can continue." Vance added, "Through constant patrolling and maintaining a presence in that community, Afghans know to trust both Canadian and Afghan soldiers and respect their efforts to bring them security from all sources of harm." 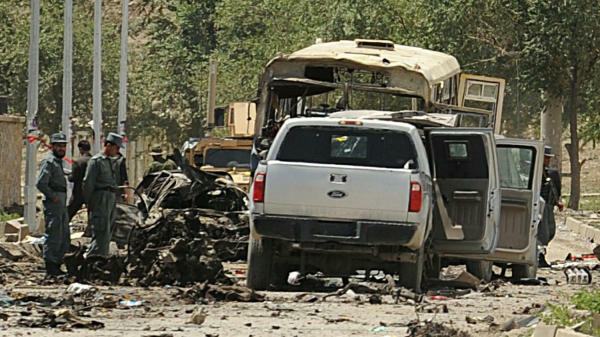 Separate Taliban attacks June 7 mark it the deadliest day in 2010 for NATO troops in Afghanistan. Ten service members have been killed -- seven of them are American plus a U.S. civilian contractor who trains Afghan police and a Nepalese security guard. Reports of wounded in these attacks are not disclosed, but based on earlier stats, more than 5,000 American soldiers serving in Afghanistan have been wounded since the original U.S. invasion in 2002. While NATO gears up for a major offensive against the Taliban's renewed stronghold of Kandahar -- the former headquarters of the Taliban and the largest city in the southern province, insurgents have stepped up suicide bombings and hit-and-run attacks in the east and south war zones of Afghanistan. U.S. commanders have warned the American public to expect increased casualties once President Barack Obama declared his intention to stem the Taliban's resurrgence when he deployed 30,000 more U.S. troops to Afghanistan to support the alliance's operations after eight years of fighting in the country. Initially, President Bush ordered the invasion of Afghanistan to rout Al Qaeda after Osama bin Laden's terrorist 9-11 attack on U.S. soil, but this objective switched to ousting the Taliban once American and NATO forces failed to find the terrorist leader. 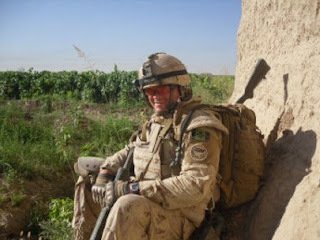 At dawn Sunday morning, an improvised explosive device killed Sergeant Martin Goudreault, 35, from Sudbury,Ontario, on his third tour of duty in Afghanistan, and fifth tour overseas through his career. He died leading a foot patrol near the village of Nakhonay, about 15 kilometers southwest of Kandahar City. Sgt. Goudreault’s patrol was searching for a weapons cache hidden by Taliban insurgents. Soldiers are increasingly finding these stockpiles hidden in Afghan villages, amongst the civilian populations. The Panjway district has become the focus of Canadian military efforts as tens of thousands of U.S. troops surge into southern Afghanistan, taking over much of the fighting in neighbouring districts. Sgt. 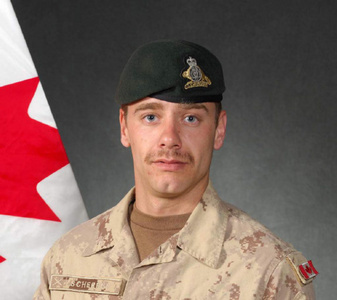 Goudreault was a member of 1 Combat Engineer Regiment based at Canadian Forces Base Edmonton, serving with the 1st Battalion of the Royal Canadian Regiment Battle group. It was a routine mission, but a crucial one, according to Brigadier-General Jon Vance, Commander of Task Force Kandahar. “Always looking for a challenge, Martin was a qualified combat diver and had the highest personal standards of technical and tactical experience. Recognized early in his career for his leadership, Sgt. Goudreault was a model soldier; someone the soldiers in his section could look up to and emulate,” said B.-Gen Vance. “Sgt. Goudreault died doing what he loved best; leading his section from the front. If your way of life was in peril, you would want someone like Sgt. Martin Goudreault to show up and offer help,” he added. Sgt. Goudreault died on the same day as a parade of bikers rode down the “Highway of Heroes” into Toronto from CFB Trenton to commemorate Mayor David Miller's designation of parts of the north-south Don Valley Parkway and downtown streets leading to the coroner's office the “Route of Heroes” to honor Canada's fallen soldiers. 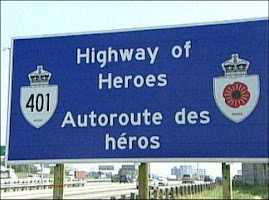 This completes Canada's tribute to a soldier's final path home. Matthew Fisher of Canwest News Service sends home the sad news of another soldier killed by a homemade land mine in Afghanistan on May 24, 2010. 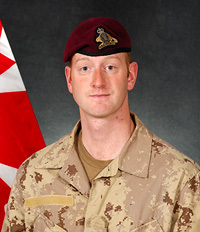 Trooper Larry Rudd, 26, from Brantford Ontario, was killed when the vehicle he was in struck an improvised explosive device while on a combat resupply patrol that was bringing food and water to troops from Canada's battle group at a remote outpost in the difficult Panjwaii District, about 20 kilometres southwest of Kandahar City. British Maj.-Gen. Nick Carter, five other generals and about 1,000 Canadian, American and British soldiers saluted their farewells shortly after dawn at a ramp ceremony Wednesday morning local time. Canadians prepare another tribute on their Highway of Heroes for his arrival at Canadian Forces Trenton Air Base late Thursday afternoon. This is another loss of a young soldier with a promising future. His commanding officer, Maj. Christian Lillington, praised Rudd for his sense of humor and generosity to his fellow soldiers. "He was a huge man but as big as he was, he was probably the gentlest of the group. Larry John is very special to me." Lillington also noted, "He had more talent than many soldiers I have seen," and predicted if his life had not been cut short, "he would have been a very senior soldier in the Queen's army." Rudd served in "A" Squadron of the Royal Canadian Dragoons, Canada's senior armored regiment, recently deployed to Afghanistan from Pettawa, Ontario, in the upper Ottawa Valley, to provide reconnaisance for Task Force Kandahar. More than two-thirds of Canada's fatalities in Afghanistan have been caused by IEDs that have either struck soldiers on foot patrols or, as in Rudd's case, while mounted in an armored vehicle. "There is no perfect solution to defend against IEDs," Lillington admitted. Canada now has nearly 3,000 troops serving in Afghanistan and South Asia. 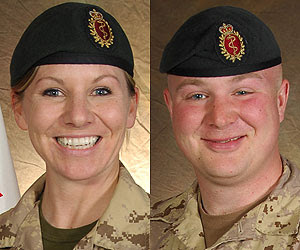 In eight years of combat in Afghanistan, 146 Canadians have died, including a journalist and a diplomat. In 2009, 520 NATO troops died in Afghanistan, up from 295 in 2008, mostly as a result of the Taliban laying far more IEDs. Already this year, 217 coalition troops have been killed. A Taliban suicide bomber in a car packed with explosives struck a NATO convoy in Kabul on Tuesday, killing 18 and wounding 47 other people. Among those killed is a Canadian officer, Col. Geoff Parker, and five American troopers. The attack comes as a reminder that determined attackers can still penetrate the city's defences just as NATO readies a major offensive in the southern province of Kandahar, a major Taliban stronghold. Taliban spokesman Zabiullah Mujahid told The Associated Press in a phone call from an undisclosed location that the bomber was a man from Kabul and his car was packed with 1,650 pounds (750 kilograms) of explosive. The target of the attack was the foreign convoy, he said. The powerful blast occurred on a major Kabul thoroughfare that runs by the ruins of a one-time royal palace and government ministries. 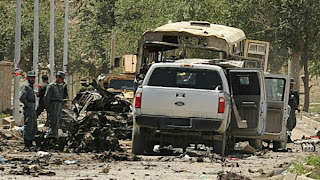 It wrecked nearly 20 vehicles, including five SUVs in the NATO convoy, and scattered debris and body parts across the wide boulevard as U.S. troops and Afghan police held a security cordon around wrecked cars, the bus and sports utility vehicles. There were no obviously military vehicles but NATO troops often travel in unmarked SUVs in the capital. The Canadian Forces colonel has become the latest casualty of Canada's mission in Afghanistan, and the highest-ranking soldier to give his life for the mission since it began in 2002. 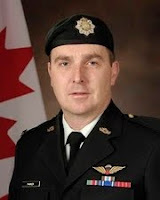 Col. Simon Hetherington, deputy commander of Task Force Kandahar, explained that Col. Geoff Parker was the commanding officer of 2nd Battalion, Royal Canadian Regiment, based at CFB Gagetown and was in Kabul to interact with international organizations there in an effort to prepare his team for their upcoming mission. 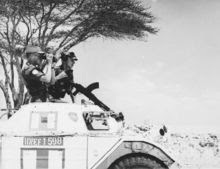 "He was a career infantry officer — a proud member of the Royal Canadian Regiment — who excelled in virtually every position he held in the Army," said Hetherington. "As a battalion commander, he led his soldiers from the front and with distinction. The post he was preparing to fill was important and of such high profile, he was hand-picked from across the Army to do so. A rising star, his potential was undeniable." In a statement that seemed more detailed and personal than those that usually accompany news of Canadian casualties, Hetherington described Parker as a fun-loving and admirable man who was well-loved within the ranks of the Canadian military. "Geoff could be incredibly funny and he had a truly infectious laugh and smile; to some, he was simply known as Parker, because that's what his wife called him," Hetherington said. "We all knew him to be remarkably smart and the consummate professional officer. Equally important, he was always standing by as a friend. He knew when to give you the hard truth to get you going and when to lend a sympathetic ear." 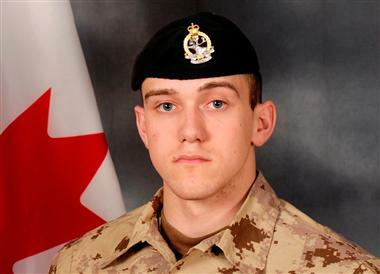 Parker was the seventh Canadian soldier to die in Afghanistan this year and the 145th Canadian soldier killed as part of the mission since it began eight years ago. Two civilians — diplomat Glyn Berry and journalist Michelle Lang — have also been killed. What drives a soldier to make the ultimate sacrifice as political support wanes? The Canadian Press reports another Canadian soldier, scheduled to conclude his deployment in southern Afghanistan in a few days, has been killed by a Taliban homemade blast. On May 13th, Pte. 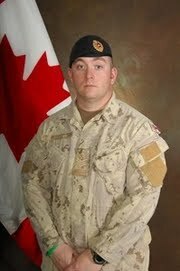 Kevin McKay from the Edmonton-based 1st Battalion of the Princess Patricia's Canadian Light Infantry died about 15 kilometres southwest of Kandahar city because he was doing his job. The 24-year-old native of Richmond Hill, Ont., was on a foot patrol in the Panjwaii district village of Nakhonay at 8 p.m. local time Thursday at the time of the explosion. McKay's death comes as hundreds of people prepare to gather in Halifax to remember the first Canadian sailor to be killed in the Afghanistan conflict. A memorial service will be held for 37-year-old Petty Officer (second class) Craig Blake, who was killed by an IED on May 3, also in the Panjwaii district. 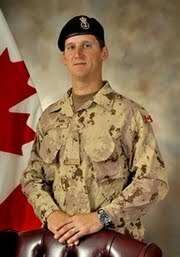 Col. Simon Hetherington, the deputy commander of Task Force Kandahar, said McKay embodied the gritty spirit of the typical Canadian soldier. "He was the type of soldier that Canadians must think of when they think of their army in Afghanistan -- the tough, courageous infantryman, living in austere conditions and doing incredibly difficult work," Hetherington said. "His platoon brothers and friends will remember Kevin, better known as 'Mickey' to his buddies, as a generous man, dependable, with a quick wit and a great sense of humour that was exemplified by his awesome moustache." He was also height-deprived but had no trouble "poking fun and taunting those less vertically challenged platoon mates," Hetherington added. The Toronto Star's Mitch Potter reported earlier this week how Canadian soldiers and police are risking their lives to visit villages in the cradle of the Taliban to make sure their trainees have benefited from their police training and were applying what they have learned properly to the villages where they live. He described how troops are very conscious of the pull-out date and they don't want the sacrifices made by those before them to be in vain. They want the villagers left to feel more protected and freer, and they want to ensure this after they are withdrawn, so patrols are taking more chances as they visit and mix personally with Afghan villagers. It's typically noble of troops on the ground to believe in their mission because they see the need, while others at home watch the number of deaths and wounded escalate and wonder at the reality. 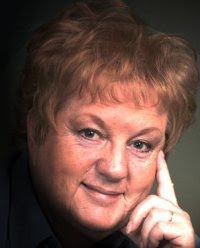 In today's Toronto Star, Rosie Dimanno laments in her nearly full-page column that, while Parliament debates and investigates the detainee issue, in Afghanistan, Canadian troops continue to die and schoolgirls are being gassed. "Spare some outrage for them," she concludes. I'd like to add that the federal government's new policy not to address those wounded on the front line makes no sense. Surely the Taliban know the casualties accumulated on their own doorstep, so press announcements are not breaching security. Instead, this policy smacks of a cover-up, which the Toronto Star's investigative reporter David Bruser began to expose in his series "War at Home." The Canadian Association of Journalists has nominated Bruser for an award for this series in the "open newspaper" category. In his articles, Bruser describes the disturbing cases of post-traumatic stress disorder among returning Afghanistan war veterans and the growing problem of post-tour violence. We never learn do we? This generation's war vets are getting the same lousy treatment Viet Nam vets suffered. And how does this affect the morale of troops still in country? They need to know that what they are doing makes a difference to the folks at home as well as for the locals in Afghanistan to make their conscientious efforts worth the physical and mental price they pay. 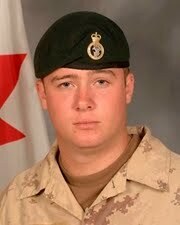 And so Private McKay becomes the the sixth Canadian military member to die in Afghanistan this year and the 144th killed as part of the Afghan mission since it began in 2002. 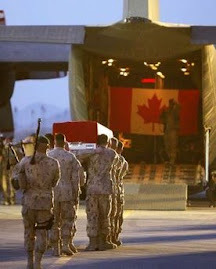 The Canadian Press reports another body is being shipped home from Afghanistan. This time it's a sailor. 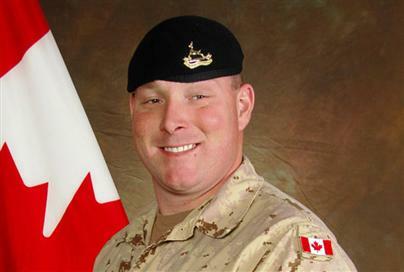 The body of Canada's first sailor killed in Afghanistan since the mission began in 2002 is on its way home. More than 1,500 Canadian and ISAF personnel attended a ramp ceremony at Kandahar Airfield for Craig Blake, a petty officer second class. Blake died Monday by the blast of a makeshift bomb, the very kind of device he was in the country to defuse. The explosion happened while he and his team were walking back to camp after disarming another improvised explosive device near Pay-e-Moluk, a village in the Panjwaii district about 25 kilometres southwest of Kandahar City. The 37-year-old leaves behind his wife and two sons. 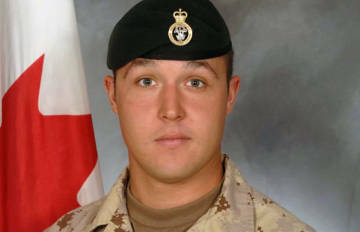 His death brings to 143 the total number of Canadian Forces members who have died as part of the eight-year-old Afghan mission. Is the price worth the sacrifice? Dr. Janet Kemp, VA’s national suicide prevention coordinator, credits the hotline with rescuing 7,000 veterans who were in the act of suicide — in addition to referrals, counseling and other help. In general, VA officials said, women attempt suicide more often, but men are more likely to succeed in the attempt, mainly because women use less lethal and less violent means while men are more likely to use firearms. I could not find such an outreach for returning Canadian service people. 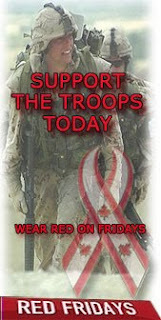 We continue to pipe tributes for the fallen and those loyal citizens who have faithfully paid tribute on the Highway of Heroes have grown into a strong organization called Red Fridays Foundation. But what about our returning wounded? It's not enough to praise those who have died and then ignore those who have survived. How many of our present military and vets suffer from post traumatic stress disorder? 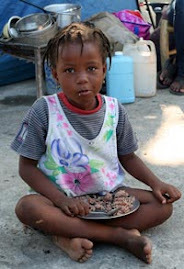 What are we doing to help them? What are our stats on attempted and successful suicides? Politicians create the wars soldiers fight. Don't these same politicans also have a responsibility to support their troops' rehabilitation in light of the sacrifice they've made in their country's name? Where is the voice of support for them? If there is one in Canada, it is not very loud or clear.